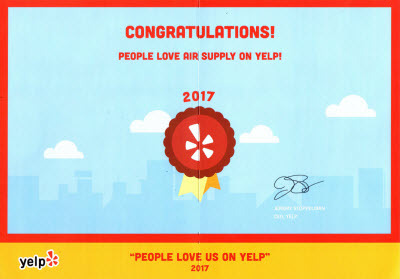 Air Supply Heating and Air Conditioning is a family owned and operated organization with our owners having over 50 years experience in the business. 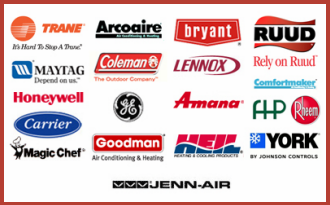 We are a fully licensed, bonded and insured HVAC company so you can rest assured that should anything happen while we are in your home or business; you are protected! We are proud to provide quality service and installations to our customers while providing an exciting and rewarding work environment for our employees. 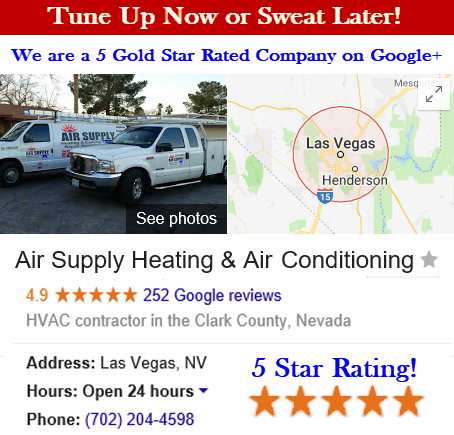 To promote honesty, our technicians are hourly paid with no commission sales! We strive to make ourselves better each day and in a constantly changing industry, we continue to stay on top of all new innovations with extensive training and our involvement in trade associations. 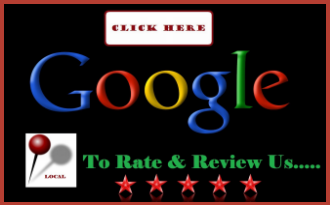 We are always searching for new and better ways to make our customers lives easier and more comfortable! Thanks for Helping Us Welcome Home A Hero! 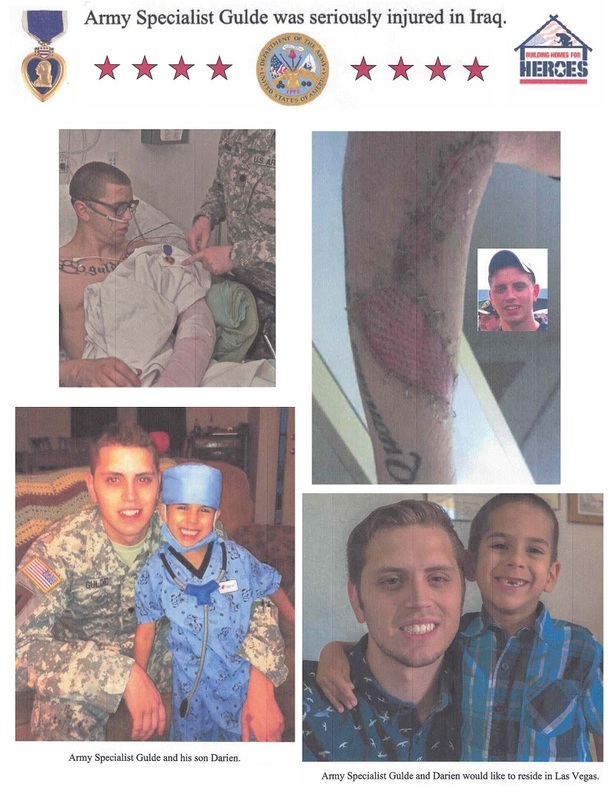 Thanks for joining us on November 9, 2015 at the Welcome Home ceremony in Las Vegas, Nevada for Purple Heart recipient Army Specialist Justin Gulde. 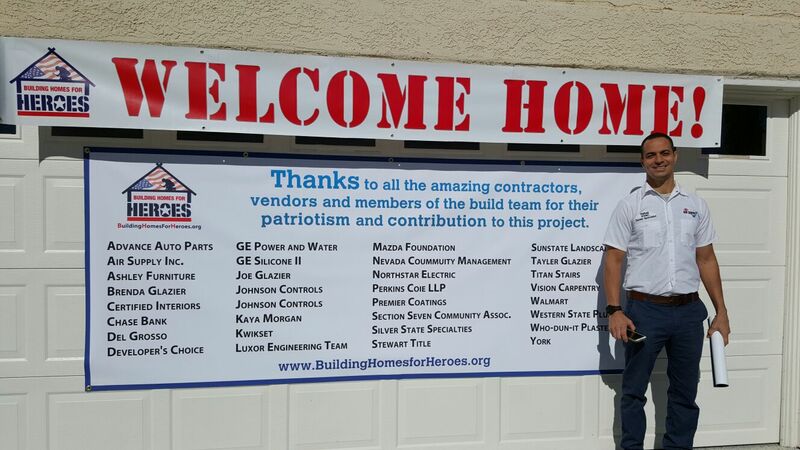 Our company, Air Supply Air Conditioning and Heating participated with Building Homes for Heroes, along with other local contractors, to create a comfortable home environment for Army Specialist Justin Gulde and his son Darien for their local Nevada home. We were PROUD to work alongside Building Homes for Heroes and for the opportunity to contribute our services to the home of this truly deserving veteran. We enjoyed seeing all of your smiling faces as we appreciated and welcomed this veteran to our community and to his new residence.